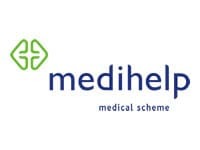 Medihelp is one of South Africa’s largest open medical aid schemes. Everyday approximately 220 000 South Africans rely on Medihelp to provide them with affordable medical aid cover. In an ever changing healthcare industry, where legislations constantly change and the cost of healthcare is ever rising, this is difficult to say the least but through hard work, dedication and more than 100 years of experience to fall back on Medihelp overcomes these challenges with effortless ease and continue to make quality healthcare more accessible to all South Africans. They like to think of their relationship with their members as a partnership by providing members with innovative products and services. With this Medihelp is able to secure customer loyalty. Their claims payout is one of the best in the country. Medihelp has once again been awarded an AA-rating from Global Credit Rating for outstanding financial performance. Because their solvency rate is above the mandatory 25%, they have one of the country’s highest “accumulated funds per beneficiary”. They want their members to “be healthy with Medihelp”. Through experience, hard work and determination the scheme ensure the best possible healthcare benefits for their members. They aim to keep our medical aid membership fees as low as possible by using member contribution appropriately and keeping administrative cost to an absolute minimum. It is the scheme’s mission that every member receives more quality healthcare for their contribution. Giving peace of mind to all of their members by providing medical aid cover they can rely on. The medical aid scheme believe in offering true value for money when it comes to client services as customer satisfaction is of the utmost importance. They set themselves apart from the rest. Before any action is taken the needs of the member are carefully considered. If service experience has taught them anything it is that a little compassion can go a long way. All Medihelp members have access to quality healthcare service by a network of pre-approved service providers. Medihelp benefits include in and out of hospital benefits, specialised visits, dentistry, eye care, maternity benefits, GP visits and basic day-to-day. Medihelp understand that a person’s life never stays the same and that healthcare needs change according to life stages. Medihelp healthcare plans are not “one size fits all”. Each one has been specifically planned to provide cover for a variety of needs in different life stages. Medihelp medical aid benefit schemes have been specifically formulated to provide the best possible healthcare benefits to the member regardless of income ratio.